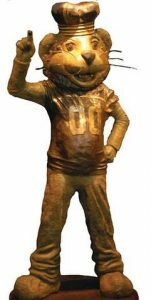 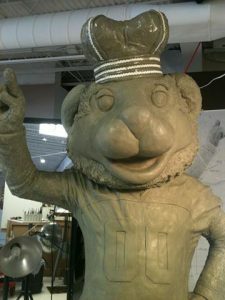 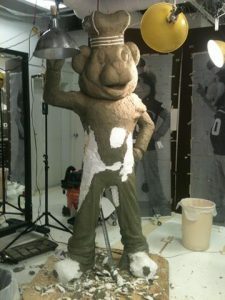 Richard Stravitz was approached by Old Dominion University students with a special - and rather large request - to create a 7-foot bronze replica of the university's mascot, Big Blue. Big Blue was a very different kind of commission for Richard. 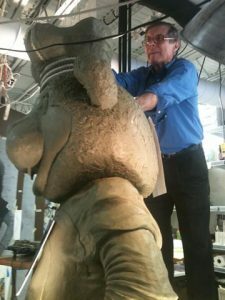 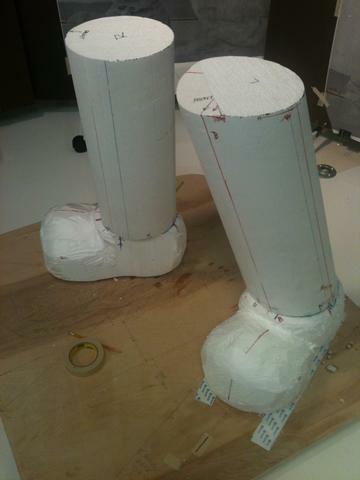 Known for his perfectionism in depicting the details of the human body in sculpture, he says that doing this part-lion, part-cartoon, part-human piece was challenging - and extremely fun. 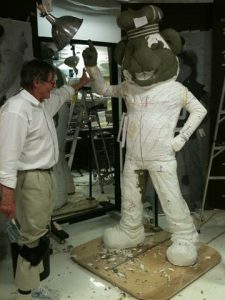 Old Dominion University students rub the belly of big blue at the beginning of their ODU career and at their graduation day. 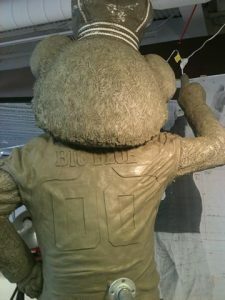 If you're an Old Dominion University student, take a photo with Big Blue and be sure to tag it with #BigBronzeBigBlue to give Richard a shoutout!